A piece of legislation moving through the New Mexico Legislature offers a window into how difficult it is to pay for and deliver healthcare during a state budget crisis, particularly at a moment when uncertainty in Washington clouds the future of healthcare in the U.S. Sponsored by Republican Rep. Paul Bandy of Aztec and supported by GOP Gov. 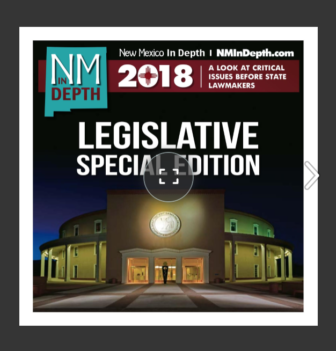 Susana Martinez, House Bill 316 seeks to reduce state spending on Medicaid by pushing hundreds of people off a little-known state program – the New Mexico Medical Insurance Pool, also called the “high risk pool” — and onto the state’s health insurance exchange. The high risk pool currently offers health coverage for the sickest of the sick, more than 2,700 people who suffer from heart disease, cancer, Hepatitis C, neurological disorders and HIV/AIDS. The bill is one of many proposals that would save money as New Mexico attempts to survive a state budget crisis. The legislation, in effect, is a one-two punch to health insurance companies, closing what Martinez considers a tax loophole by phasing out a tax credit for health insurers. It would trim Medicaid costs in a way that would end up increasing some health insurers’ costs, too. At the same time the governor, Bandy and others want to shrink the high risk pool some observers say the timing of such legislation is misplaced. A Republican-controlled Congress that is intent on overhauling and possibly repealing the Affordable Care Act known as Obamacare is signaling to states that they may need such programs in the future. In late February Republican congressional leaders rolled out a plan that included an unspecified amount of money for “innovation grants,” which would help states develop or strengthen high-risk pools and other programs. The provision bore a resemblance to an idea Speaker of the U.S. House of Representatives Paul Ryan rolled out in June 2016 that mentioned dedicating $25 billion to helping Americans priced out of coverage elsewhere find insurance in high risk pools. Many states eliminated or scaled back such programs earlier this decade when Obamacare prohibited insurers from withholding medical insurance due to an individual’s pre-existing conditions. Health insurance exchanges, also creations of the federal health care law, meanwhile, were designed to integrate formerly hard-to-insure individuals into the population now shopping for insurance in the commercial insurance markets. It appears that the strategy worked as intended in New Mexico. The population using the high risk pool has shrunk from a high of about 10,000 individuals to about a quarter of that number since New Mexico’s health exchange began operating, according to Democratic Rep. Deborah Armstrong of Albuquerque. She is CEO of the medical insurance pool. A fact sheet puts at 2,771 the number of enrollees today. Roughly 1,000 have no other health insurance option because the ACA didn’t apply to them or they can not find insurance on the exchange, Armstrong said. Much of the remaining population using the high risk pool are eligible for other plans through the exchange, but the pool’s governing board has allowed people to remain despite their eligibility, according to HB 316’s fiscal impact report. Bandy’s bill would eliminate that eligibility of those who are able to receive subsidized insurance under the provisions of Obamacare. But many are undergoing treatment for serious diseases and the disruption of changing providers would cause a great deal of anxiety, Armstrong said. “There are more coverage options to those who would’ve previously used programs like the high-risk pool and others,” spokesman Michael Lonergan wrote in an email. But others, including some critics of the legislation, say it’s too early to change the financing structure of the state’s high risk pool. The lack of clarity coming from Washington as the Trump administration and the Republican-controlled Congress debate over what to keep from Obamacare and what to jettison makes any action premature. “We need to wait and see what they’re going to come out with in Washington,” said Dr. Martin Hickey, CEO of New Mexico Health Connections, one of the state’s health insurers who said he has kept close tabs on the discussions in Washington. Plus, if Bandy’s legislation were to become law, Hickey and others said, more New Mexicans might need to use it because provisions in the bill might make health insurance too expensive for thousands more of New Mexicans. What concerns Hickey and others is a provision in HB 316 that would force New Mexico’s health insurance companies to pay more in state taxes. Currently, health insurers foot most of the high risk pool’s operations. They do this by making payments to the pool based on a percentage of the premium payments they receive from their customers. The insurers offset some of those costs, however, through a state tax credit that lowers the taxes they pay to New Mexico. Bandy’s legislation would phase out the tax credit, raising operating costs for the insurers. The Office of the Superintendent of Insurance (OSI) in an analysis of the legislation said the insurers would pass those increased costs on to New Mexican consumers — specifically, New Mexicans who purchase health coverage in individual commercial markets and small businesses that offer coverage to employees. Hickey estimated nearly 100,000 New Mexicans would pay more for health insurance if Bandy’s legislation eliminating the tax credit became state law. He estimated premiums might increase $300 more per individual per year. Business advocates are concerned, too. Jason Espinoza of the Association of Commerce and Industry registered his concern Feb. 17, telling state lawmakers on the House Business and Industry Committee that increased health coverage costs would affect many of his organization’s small business members. “We are very concerned about what that will do in the current environment when we are trying to create jobs and incentivize business development,” Espinoza said. In its analysis the OSI speculated the increased expenses might depress small business hiring. uncompensated care,” the OSI wrote. ‘Increased uncompensated care’ is a way of saying the state’s hospitals would see increased use of their emergency rooms by the newly uninsured — costs that are not built into their budgets. Rising health insurance costs also could lead to a growth of the high risk pool, Hickey said. “There may be more people who want to get into the pool because they can no longer afford the exchange insurance,” the Health Connections CEO said. In addition to saving the state money by eliminating the tax credit, Bandy’s bill saves on Medicaid. 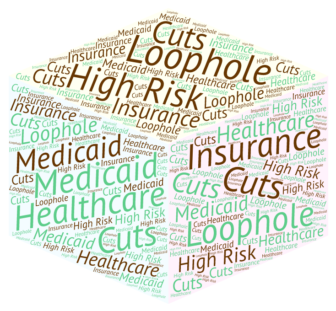 It would prohibit the high risk pool from collecting a percentage of Medicaid payments the state makes each year to four managed care organizations that administer the Medicaid program. Combined with federal matching dollars that are triggered for every dollar the state spends on Medicaid, the move would eliminate nearly 70 percent of the pool’s funding, according to the bill’s fiscal impact report. By eliminating the funding that comes from the Medicaid program the state would transfer the entire cost of paying for the pool to certain insurers and the commercial markets — costs that would be passed on to consumers. Bandy and Lonergan described HB 316 as a less onerous option that could avert worse cuts to Medicaid. Martinez and state lawmakers are trying to close a yawning budget gap estimated in the hundreds of millions of dollars. “Enacting this bill will help protect access to healthcare for those who need it the most, by avoiding further cuts to provider reimbursements and other measures,” Lonergan added in an email. There is debate in the Roundhouse, however, whether it is prudent to trim Medicaid dollars even though it is one of the state’s largest expenses. 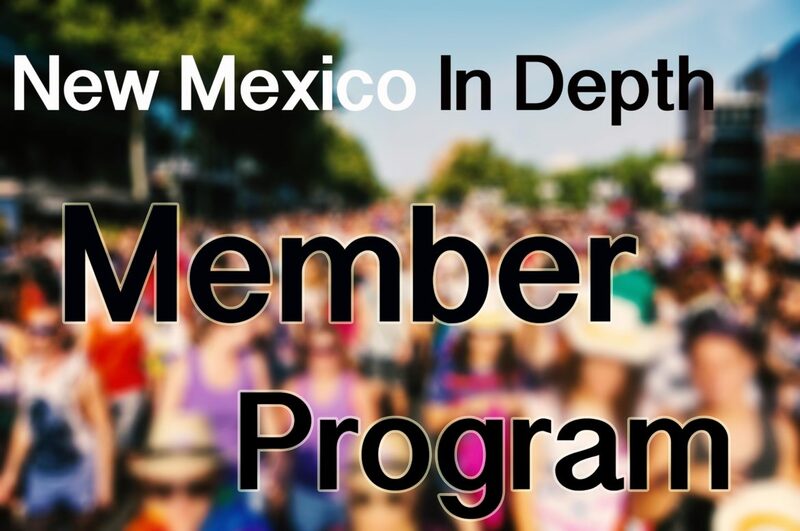 New Mexico spends more than $900 million on the program each year to help provide nearly 900,000 New Mexicans with health care insurance after an eligibility expansion in 2014 led to more than 250,000 new enrollees. The hesitance comes from uncertainty about the future of the ACA and because for every dollar New Mexico spends Washington spends $4 to foot the bill for the state’s Medicaid program. By cutting the Medicaid dollars spent on the high risk pool by about $17 million, the state would give up more than $70 million in federal aid, the analyses show. It is unclear whether Bandy’s legislation has enough support among state lawmakers to win legislative approval, which would send it to the governor for her signature. Its next committee hearing has not been scheduled yet. Also unclear is whether the proposal will end up as a bargaining chip in budget negotiations between legislative leaders and the Republican governor in a few weeks. The Democrat-controlled House of Representatives passed a budget proposal Feb. 22 by a 37-32 vote. The proposed spending plan is in state Senate now. The Affordable Care Act and its Medicaid expansion will live on following the death Sept. 27 of congressional Republicans’ last-ditch effort to repeal and replace Obamacare, but uncertainty remains for thousands of families in New Mexico whose children are covered through the Children’s Health Insurance Program.